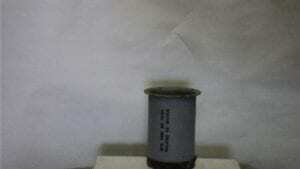 3 inch long inert Booster charge holder without dummy charge.  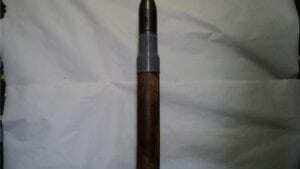 3 inch x 50 cut barrel, Muzzle end. 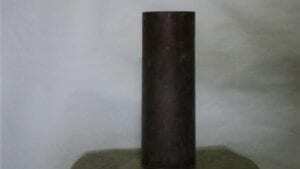 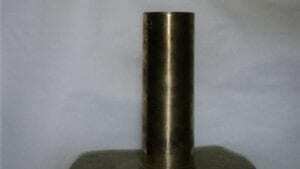 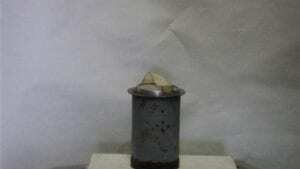 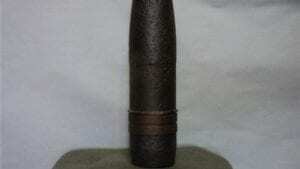 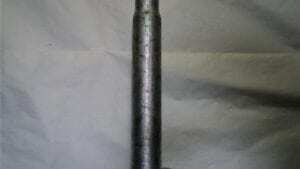 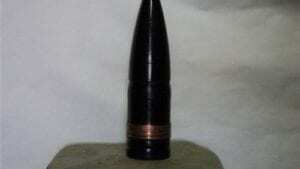 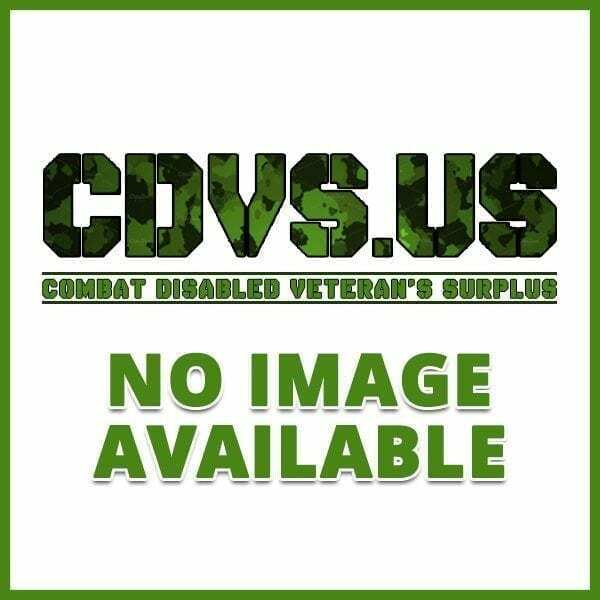 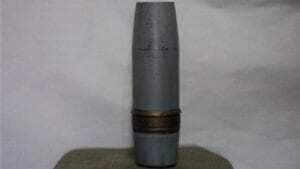 3 inch x 50 Steel dummy round, good condition with nose fuse.